Nine Banded Whiskey is a creative blend of hand selected whiskeys and limestone-filtered water from the Texas Hill Country. Our hand selected whiskeys include a 3-year-old barrel aged Kentucky bourbon blended with a corn & rye whiskey, working together to amplify the flavors of the bourbon. Our private spring has been tested as some of the purest water in the state and is located just 60 miles west of Austin, deep in the heart of the Texas Hill Country. 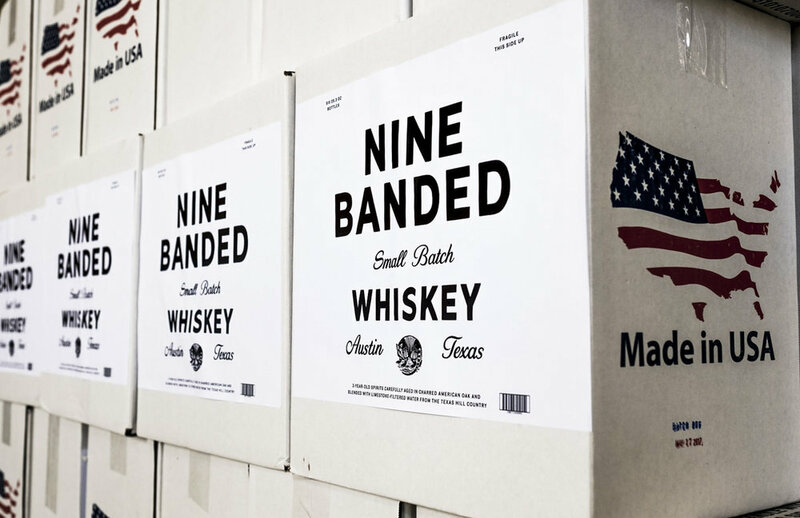 Nine Banded Whiskey is blended & bottled by hand in our production facility just outside of Austin. We are located on Fitzhugh Road in Dripping Springs.